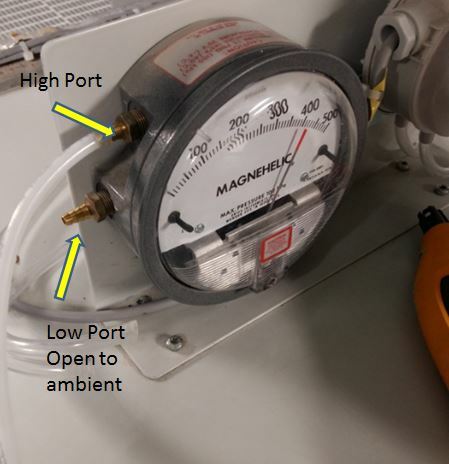 Have you encountered a pressure gauge with two entry ports where pressure can be applied? In this post, I will discuss what is a differential pressure gauge, where it is being used and how to calibrate specifically a Dwyer Magnehelic gauge by using a Fluke 754 process calibrator with pressure module. There are many types of pressure gauges where Differential pressure gauge are one of them. A differential pressure gauge is a pressure gauge that measures two pressure sources simultaneously in one pressure indicator. But the pressure indicated or displayed is the difference between two pressures, the high and the low pressures. How to calculate differential pressure? Differential pressure measurement is simply the difference between two applied pressure. One port will result in a negative reading while the other positive. Clean room pressure monitoring – the gauge is installed above the entrance or door. 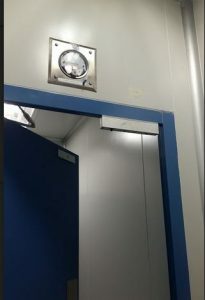 This type of gauge measures the acceptable differential pressure between inside and outside the door. Just in case you cannot remove the differential pressure gauge, you can calibrate it onsite or on its location by opening the door and exposed both ports to ambient before making a measurement. The input ports with a hose are located at the back and front of the gauge, so opening the door will equalize the ambient pressure and the Magnehelic gauge will turn back to zero and it is now ready for calibration. A Dwyer Magnehelic gauge monitors the differential pressures inside and outside the room. 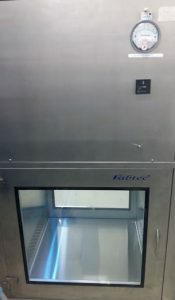 Hood filter monitoring – installed in hoods or vents to monitor the cleanliness of hood filters. A Magnehelic differential pressure gauge installed in the vents or hoods. 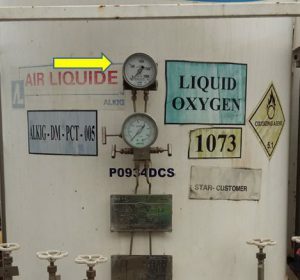 A differential pressure with a manifold used as a level gauge installed in a tank. Monitor pressure in a pass-box– this is an entry point for any materials to be brought inside the clean room area. 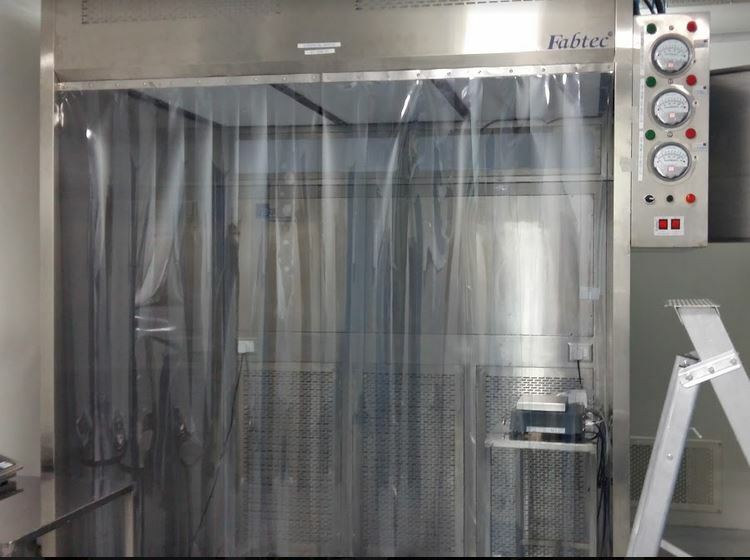 This is to ensure that dust or contaminants do not enter the clean room area while the pass box is open by monitoring that the pressure inside is stronger than outside. a pass-box for material entry or exit. Monitors the differential pressure between inside and outside the box. 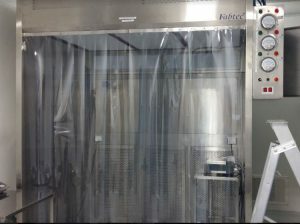 Filter monitoring in other processes ( usually in the pharmaceutical industry) – to monitor the cleanliness of the filter by maintaining the required differential pressure reading. 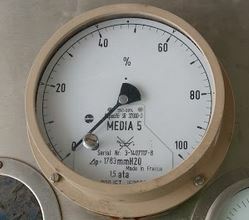 A Magnehelic differential pressure gauge installed in a production line used to monitor the quality of filters inside. You may check this link for more detailed applications. 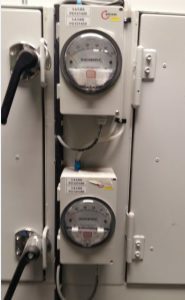 In this post, I will present the calibration setup for a Dwyer Magnehelic differential pressure gauge. The principle of calibration is the same with a differential pressure transmitter, the only difference is that the output is digitally displayed and the applied pressure is converted to an electrical signal (4-20ma) going to a PLC. 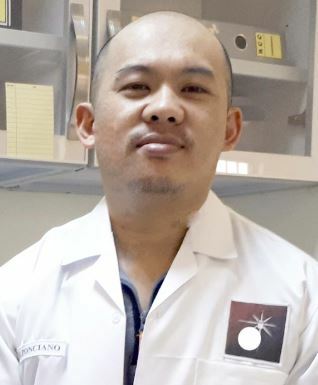 Connect the output pressure of the pneumatic pump on the positive or high side of the Magnehelic Gauge. Leave the low side port open to ambient, in this way, the differential pressure gauge functions only as a normal pressure gauge. We can verify one port only with the positive pressure coming from the pump. In this setup, the procedure of calibration is the same as the normal pressure gauge. 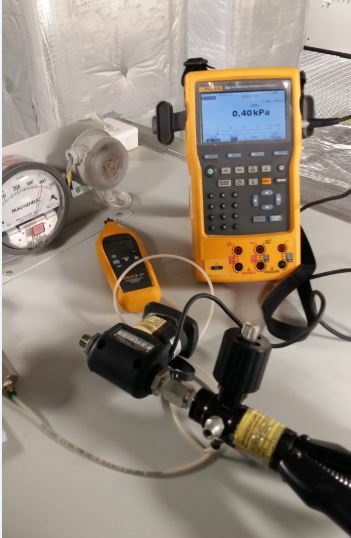 Calibration set-up using Fluke 754 with a pneumatic pump and pressure module. This type of pressure gauge should be calibrated using a pneumatic pressure source or pump wherein the fluid used to create pressure is a gas or air. This type of gauge only requires a small amount of pressure. The reading of the pressure generated by Fluke 754 with pressure module is directly compared to the display or reading of the differential pressure gauge. Check for functionality and any visual defect before calibration. Record all the details about the UUC. Use a Measurement Data Sheet to record your data. Open both ports and exposed to ambient. The needle should be in the zero position because no pressure is applied to both ports. Connect the pneumatic hose on the positive or high side. Then generate the required pressure. Record increasing and decreasing value. Compare reading displayed in Fluke 754. Visit this page to continue data recording—-pressure gauge calibration. The records and reference standard used in calibrating a differential pressure gauge are the same with an ordinary pressure gauge, the only difference is the setup ( 2 ports), the range of set points and accuracy of the reference standard to be used. Check this link to see the complete calibration procedure in my older post pressure gauge calibration. Click this link to check in AMAZON Magnehelic gauge .